I had two ideas of things to do today. The first was go into London and meet some home educating families and the other was to go to Claremont Landscape Gardens for a stroll around. With Gordon at work and rain threatened I decided against London (one day I will brave it on my own with the kids! 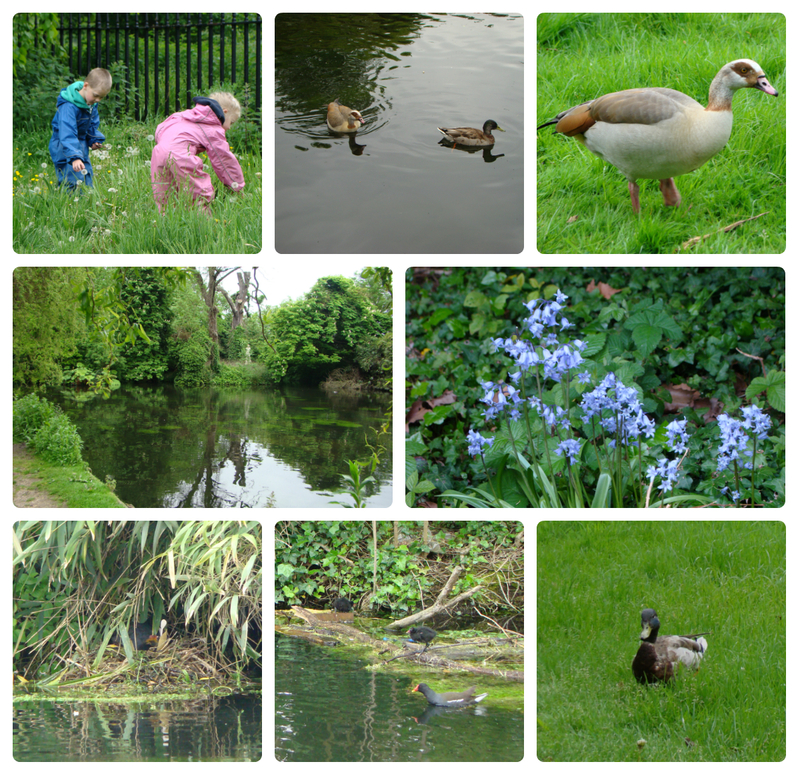 ), and then Claremont was postponed for another day as well when we decided instead to go to Morden Hall Park and meet up with Caterpillar Tales to complete some of our National Trust 50 Things challenges. So after a lazy morning and lunch we put on our waterproofs and headed out, late of course! 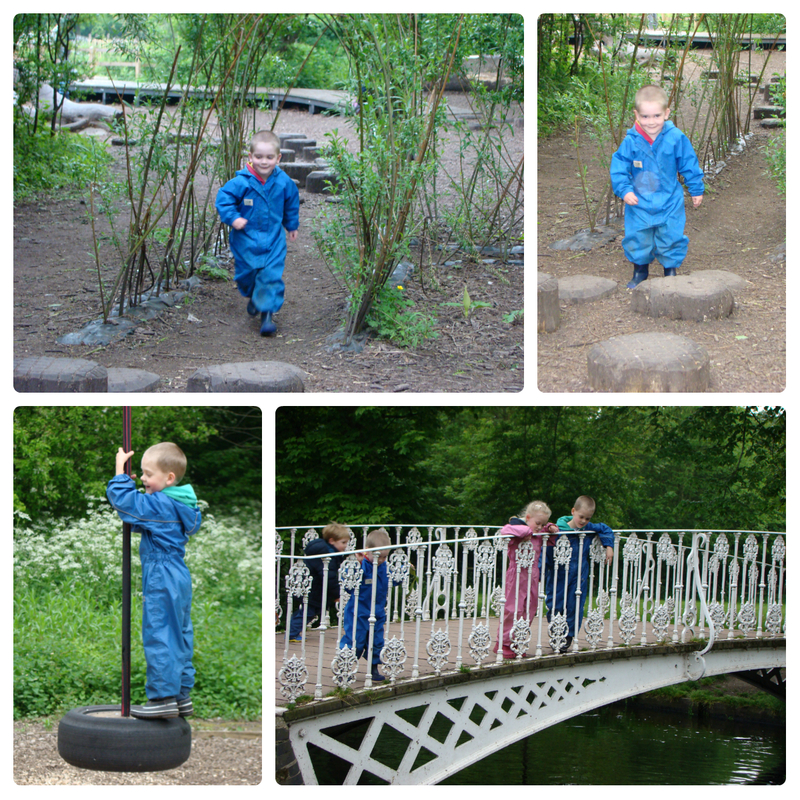 We started off by walking through the Rose Garden, playing Pooh Sticks as we crossed the little bridge to reach the other side of the garden. The Rose Garden is beautiful and such a wonderful place to spot all sorts of plants and animals. 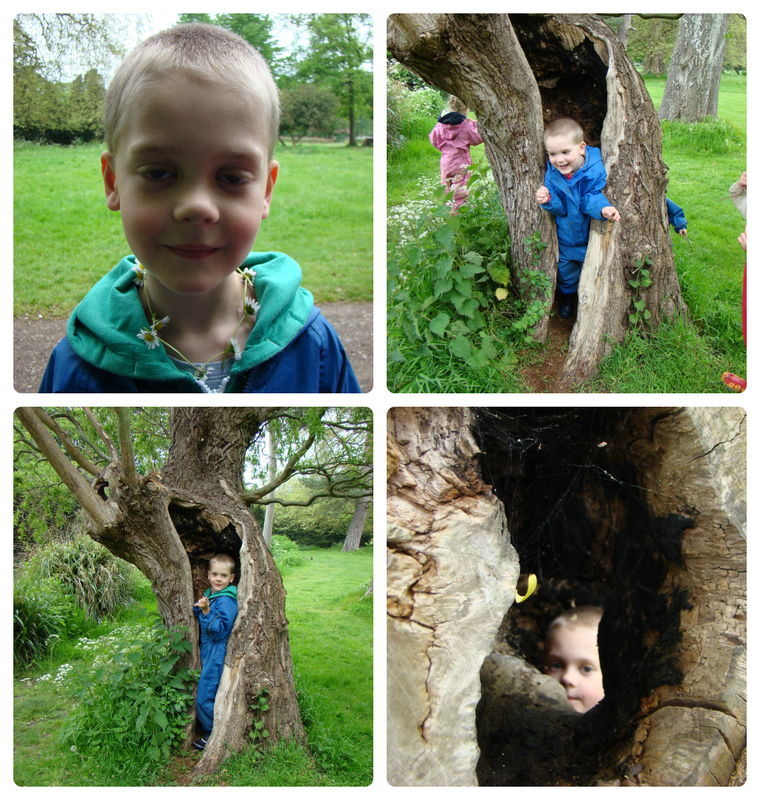 In the Rose Garden we made daisy chains and found a great tree to explore. It was hollow at the bottom and the kids enjoyed squeezing inside it! As we headed back to the path, the kids saw a fallen tree that was just waiting to be explored. Actually it has been on the ground for some time and is in several pieces, and we have explored it several times before, but that doesn’t stop them! We looked inside the largest bit and lifted any other piece we could to see what was underneath. 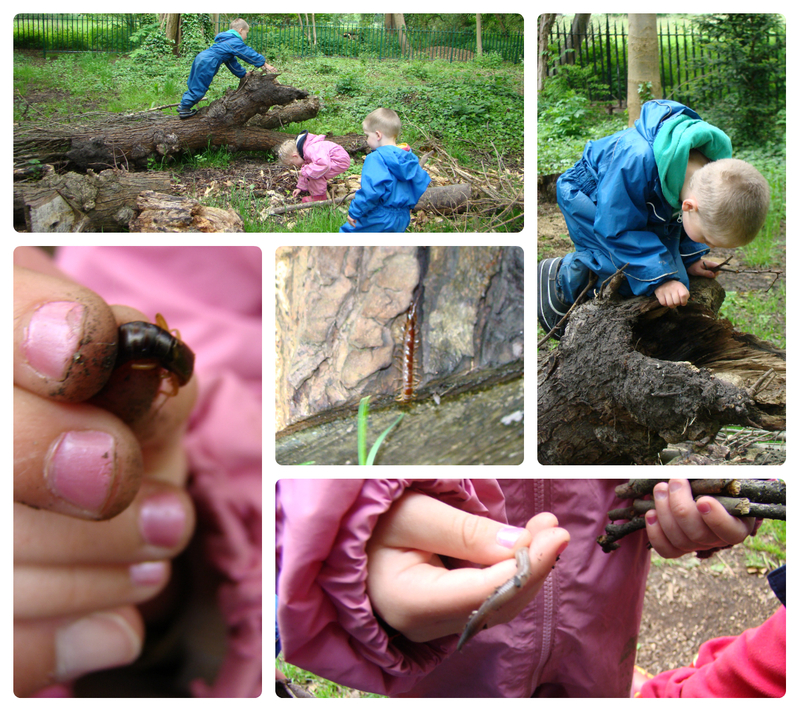 We had a very successful bug hunt today and found woodlice, centipedes, worms, slugs, beetles, earwigs and spiders. Jasmine was chief bug catcher for everyone. She really is getting to be quite the expert these days! Once we were all explored out we made our way to the natural playground where Jasmine formed a secret club in the bushes, Ben jumped and ran and Thomas climbed and swung. We ended the afternoon with one last go at Pooh Sticks before it was time to go home. A great 5 ticks on your 50 things and all in a fun day of play! Thank you for linking up to Country Kids. I’m especially loving that tree!